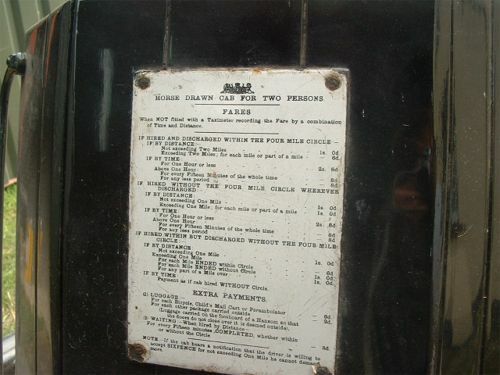 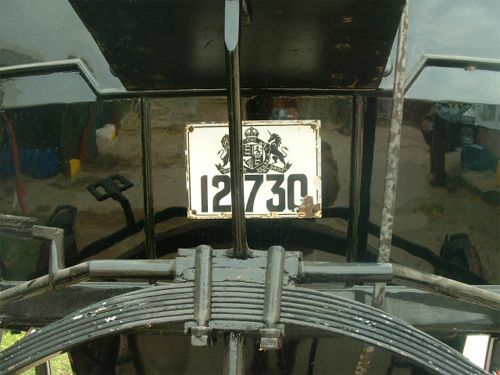 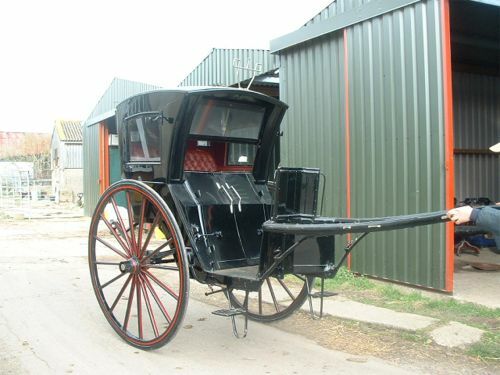 Once one of the commonest vehicles on the streets of London, now one of the rarest carriages in the county, this English built Hansom Cab has the desireable feature of mechanical doors operated by the cabbie. 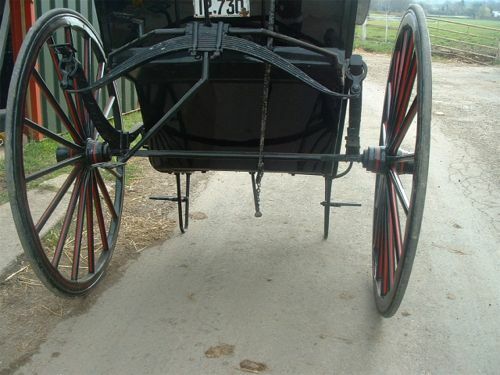 Recently repainted black with red lines, in excellent order but some chipping on the spring edges. 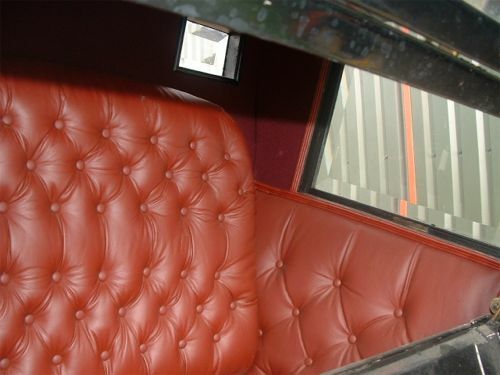 Re-upholstered.